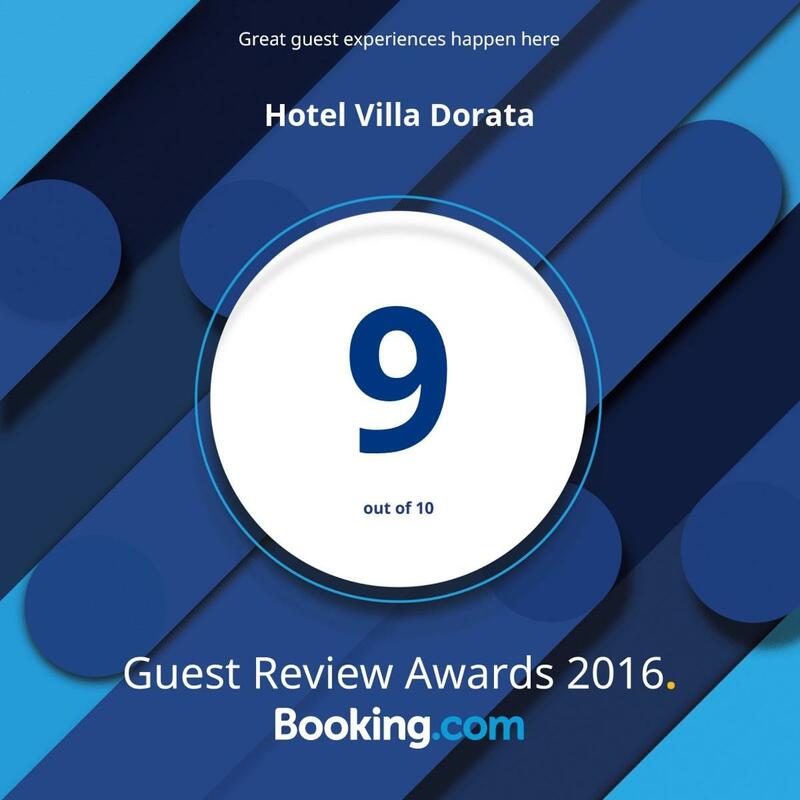 Villa Dorata hotel is located within a context whose beauty can not be denied, at an altitude of 1760 m., on Etna (the highest active volcano in Europe) whose territory is characterized by an alternation of immense green expanses, with rich vegetation, and craters and volcanic deserts. Our guests will also find themselves immersed in a historical and mythological setting that can be said to be unique in the world. The mythology on the volcano is vast. Among the characters who made it famous we remember Pindaro, Aeschylus, Virgil and above all Homer, who made the image of Etna immortal with the legendary figures of Polyphemus and Ulysses. In addition to enjoying a unique panorama, surrounded by a spectacle offered by nature itself, our guests will also discover that there are many places to visit in the surrounding area, and numerous activities to be done for both adults and children, even only a few minutes away. The formation of the Silvestri Craters dates back to the eruption of 1892, which lasted 173 days, covering 7 km and causing the formation of a radial fracture, and thus of a five-crater bottoneria. The Italian Alpine Club in Catania decided to give the name “Silvestri” to the two craters that constitute the main eruptive apparatus (Superior and Lower) in honor of the famous volcanologist Orazio Silvestri, who had also been president of the CAI, and who had died two years before . Today, they are among the most famous cones of the entire volcanic building because they are so close to Rifugio Sapienza and to the Etna Cable Car. The summit craters have existed for just over a century, as before there was only one cone: the Central Crater. In 1911 the North-East Crater was formed and in 1971 that of the South-East, at the sides of the Central Crater, while the Voragine (1945) and the New Bocca (1968) where formed inside it. The most active crater in recent years has been the south-east one, which evolved rapidly from 1996 to 2007, when it surrendered its place to another mouth on its south-eastern side, which became (in only two years), a new 250 meter crater. For the more sporty, it is possible to arrange excursions to reach the area of ​​the summit craters. EtnaAvventura is a park created between the trees of the Serra la Nave area in Nicolosi, made with bridges, pulleys, strings and stunning jumps, all spaced from platforms that allow you to retreat. Everything is built to the utmost of security. You will discover the wonder of the Etna Park with our excursions and horseback rides. Also in our equipped area you will enjoy a day of fun and relaxation with the whole family. In winter time, in addition to the excursions, the Etna Cable Car lines allow you to go up to the ski slopes. The New Gussonea Botanical Garden was created by the University of Catania and the Regional Forest. It represents a very important place where all the main environments that characterize the Etna territory are recreated and where all the plant species of Etna can be observed. Monte Vetore is one of the numerous cones of Etna. From this cone, called "monogenetic", only one eruption took place before disappearing altogether. Today, the crater's rim is covered with magnificent trees. The site of Mario Filippo Girolamo Fracastoro of the Catania Astrophysics Observatory of INAF (National Institute of Astrophysics) is located in the Serra La Nave district, in the Piano Vetore area at 1735 sea level. Its professional astrophysics telescopes, used by a number of Italian and foreign researchers as well as for experimental university astrophysics, are those at the highest level throughout the country. The observatory is open to public and school visits upon reservation. All visits, led by astronomers, include viewing one of the telescopes and observing one or more astronomical objects, with related explanations about the celestial phenomena related to the proposed observations. For more info on the visits you can open the website by clicking here. For the more sporty, who love hiking or mountain bike, this is the ideal route. It can be done both on foot and by bike, and it is about 35 km long, offering an amazing variety of landscapes. Through this route you can make cross Etna, from South to North. The length of the entire trail, on foot, is about 2 days, while with the bike it is possible to ride the whole track in one day. For cross country enthusiasts, you will find, just a few minutes away from our hotel, 10 km of runway, made up of two rings. The first track, near the highway, is of low difficulty, while the second one, not far from the first one and reachable by ski jumps, is of medium/high difficulty. This last track is wonderful from a landscaped point of view and offers the possibility to make long walks on the skis immersed in nature. This path of medium difficulty can only be accessed on foot and allows you to reach Bove Valley one of the most beautiful places to visit on Mount Etna, in about one hour and a half. The entrance of the route is along the provincial road 92 in the direction of Zafferana Etnea, just a few steps from the Rifugio Sapienza square. The first part of the trail is the most challenging one, as it has a higher slope, and is carved by a larch pine forest and a stony bottom path. The rest of the course, in beaten earth, does not have high slopes. Once you reach the summit, you will enjoy a breathtaking panorama: on one side the central craters, on the other the whole coast stretching from Taormina to Syracuse. Take part in the adventure of the dirt roads and the breathtaking views of Etna! The quad tours depart from the Baita Euro Etna Tourism located next to the Bar Esagonal in Piazzale della Funivia. The Bove Valley is one of the most fascinating places in the whole Etna region, offering breathtaking views. It covers almost entirely the eastern slope of the Etna volcano and its walls reach heights between 400 and 1000 meters, while the overall perimeter of the valley is 18 kilometers. All the lava flows originated on the eastern side of the volcano flow into this valley. Please read carefully the booking rules below. Every booking, after its confirmation has the value of a contract according to the current Italian law. The contract is binding for those making the booking and for all other persons mentioned in the same, minors included. Following the request you will receive an offer (non-binding) and the reservation will be considered confirmed only after a deposit transfer bank of 30% of the total amount. In the absence of this amount, the reservation is to be understood as null. The reservation becomes binding for Hotel Villa Dorata *** only upon receipt of a copy of the down payment of 30% regarding the deposit or regarding credit card details gave us. At which point Hotel Villa Dorata*** will undertake to send you an e-mail confirming receipt of the sum as a deposit. The confirmation regarding your booking, implies acceptance of our cancellation and deposit terms. Upon arrival it is mandatory to present a document of recognition for each person. To make any changes to the reservation, you need to contact the reception staff. In case of moving / changing the arrival / departure date of the reservation to a different period for which the price could be higher than the amount paid, the customer is required to pay the difference. A deposit of approximately 30% is required on the total reservation previous e-mail mentioned in the request of availability. In case of failure to receive the answer within the indicated dates, the reservation is null. The balance of the stay will be payed on arrival at the property. The amount of the deposit equal to 30% of the total amount of the stay required by the civil code in art. 1385, will not be returned in case of cancellation or No Show (missed-presentation). The deposit can be paid by bank transfer, or upon its authorization by providing us with 16-digit numbers followed by the expiry of the (credit card / prepaid / paypal or postpay). The balance of the reservation is due upon arrival / departure and any extras provided must be paid before departure. Hotel Villa Dorata *** reserves the right to check the validity of the credit card left "a guarantee" before the arrival of the client requesting a preauthorization to the circuit of belonging. With the pre-authorization the hotel means the temporary availability of the total amount of the stay, or a part thereof, for income that the credit card is valid. NO AMOUNT IS COLLECTED. The pre-authorization expires automatically after 20 days from the requested date and the amount is released. In case of random pre-authorization, the customer will be notified and the reservation will be canceled. In this case the hotel will not be any obligation towards the customer. If this special rate is booked, the full amount will be charged to the credit card or requested by bank transfer. The full amount is not refundable under any circumstances and in particular periods, some are worth different payment terms. Please refer to your reservation reply. The extension of some extra nights is on request only previous our availability and depending on different periods, the price per night per room can be different. 1. In case of cancellation or changes made up to 7 days before the date of arrival, no fee will be charged. For cancellations or any changes after this deadline, the cost of the first night will be charged to the credit card provided to us, and for each cancellation, the full amount will be charged. This cancellation policy is not valid for the non-refundable discounted rate (in this case the amount of the reservation will be charged at the time of the reservation and will not be refunded in case of cancellation). Not Refundable rate is due to the guest who decides to interrupt the stay already undertaken and therefore is required to pay the entire booked stay. By making a reservation, the person completing the process is identified as referent of the group and confirms that he / she is authorized by the other participants to adhere to the Booking Conditions and Cancellation Policy of Hotel Villa Dorata ***. The contact person of the group, is responsible for the total invoicing for all the bookings confirmed by him. Requests after the expiry date must be communicated directly and exclusively by the group leader. Reservations do not include changes. It would be necessary to cancel your booking and make a new one. To confirm the reservation will be required a deposit as "deposit confirmation" equal to 30% of the total amount of services booked and the same, is never refundable. The contact person of the group or the Tour Leader is responsible for sending the final guest list as soon as possible and no less than 7 days before arrival. - after this date and within 15 days of the arrival of the group, a late cancellation fee will be applied which entails 100% of the entire amount of the GROUPS stay. - In case of "no show" or early departure a penalty equal to 100% of the entire stay will be charged. Confirmation of booking implies acceptance of our cancellation and deposit terms. The management declines all responsibility for disruptions due to lack of supplies, fortuitous failures to the equipment or other causes of force majeure. We accept no responsibility for damage caused by other guests, atmospheric events, natural disasters, epidemics, diseases and thefts. Al fine di rendere i propri servizi il più possibile efficienti e semplici da utilizzare questo Sito fa uso di cookies. Pertanto, quando si visita il Sito, viene inserita una quantità minima di informazioni nel dispositivo dell'Utente, come piccoli file di testo chiamati "cookie", che vengono salvati nella directory del browser Web dell'Utente. Qui di seguito sono riportati i tipi cookie che possono essere utilizzati nel Sito con una descrizione della finalità legata all'uso.